Boysnoize Records are set to release Depeche Mode remixes – My Little Universe and Alone – from the synthpop legend’s highly acclaimed Delta Machine (read our review) from last year. My Little Universe gets the remix treatment from Alex Ridha pka Boys Noize while fellow Boysnoize Records artist Djedjotronic remixes Alone. The release of the remixes continues Ridha’s musical relationship with the band, having remixed Personal Jesus for the Boys Noize – The Remixes release back in 2011. Boys Noize approaches My Little Universe with total respect for the original, leaving the vocal as it is, along with a strong linear arrangement. All of Ridha’s trademark, high-octane thrills are on full display making this remix an absolute killer. During the first minute, the song builds and it’s at 1:20 when Boys Noize really puts his stamp on this track. With its four-to-the-floor kick pulse, constant builds, and tasty synth work, this thing teases and teases until it completely explodes. Just check out the acid madness that occurs at 3:25, sounding like laser beams shooting across the sky. It has been a busy past year for Alex Ridha AKA Boys Noize, touring the world extensively and releasing an EP as Dog Blood and Out of The Black – The Remixes (read our review) that saw Justice, The Chemical Brothers, Blood Diamond, Jimmy Edgar and more re-calibrate some of his own techno patterns. With the announcement of another world tour this year, and a string of further releases from his BNR blueprint, the Boys Noize machine is prolific as ever. 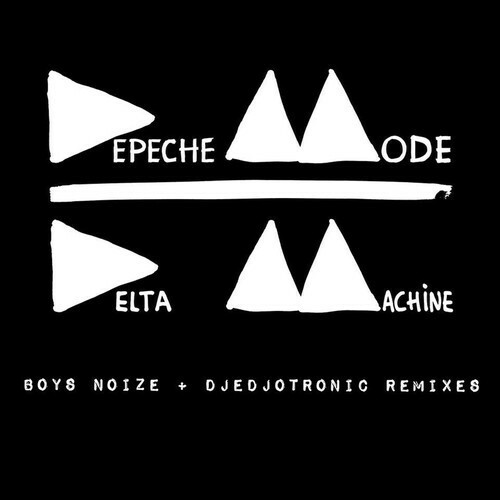 Depeche Mode Delta Machine Boys Noize + Djedjotronic Remixes will be available via Beatport 24, June 2014.